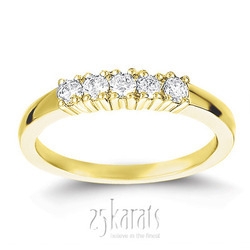 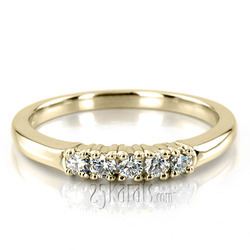 This five stone diamond ring is beautiful either for a wedding band or an anniversary ring. 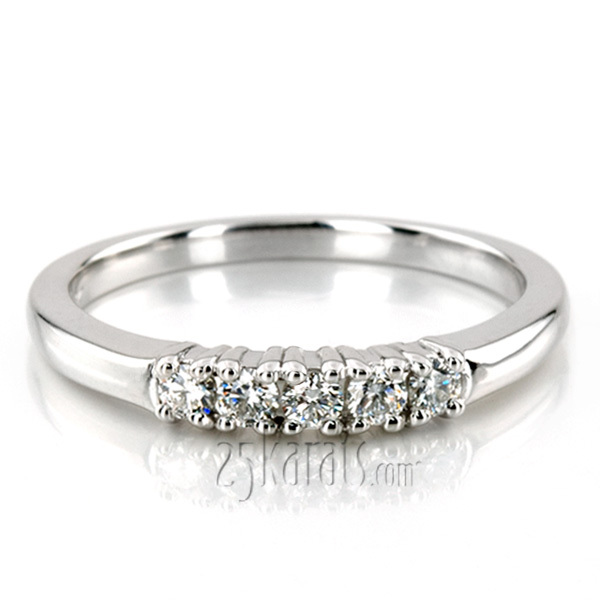 This anniversary ring features five GH-SI1 round diamonds totaling 0.25 ct. tw. 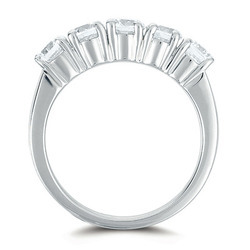 This anniversary ring is available in 14k, 18k, white gold, yellow gold, platinum or palladium.